As a vibrant port city in the south, Brunswick’s commercial buildings are just as vital to the city as the residences and well-preserved buildings of its historic district. If any of these buildings, though, don’t have proper storm protection they may be at risk for hurricane damage, tropical storm damage, or other damaging effects of seasonal storms in Brunswick, Georgia. If you own a commercial or residential building in Brunswick and you don’t have hurricane-grade storm protection for your windows, don’t wait any longer – select the hurricane shutters or storm panels from Empire Construction & Development that will keep your windows safe. One of the easiest and most cost-effective ways to secure any window before a hurricane or tropical storm is to have storm panels on hand. Storm panels from empire construction & Development can be used on all types of windows in Brunswick and throughout coastal Georgia. Homes, rental properties, hotels, restaurants, retail storefronts, warehouses, and office buildings in Brunswick can benefit from the use of our aluminum storm panels and clear storm panels. 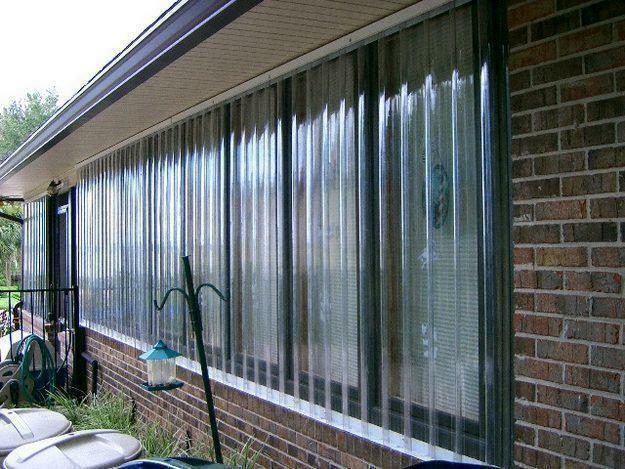 Both aluminum storm panels and clear polycarbonate storm panels are used to protect against window breakage and other hurricane damage in Brunswick and throughout the southeastern US. What sets our storm panels apart from the other storm panels on the market? Aluminum hurricane panels and clear polycarbonate hurricane panels from Empire construction & Development are designed and built with a 2-inch rise panel design that makes them approximately 25% stronger than flat hurricane panels. Our panels are engineered to meet the toughest wind codes in the country and stand up to hurricanes. We help our customers in coastal Georgia, Florida, and throughout storm-prone areas of the US, Caribbean and beyond protect their buildings during hurricanes with our high-quality storm panels and other top-notch storm shutters. See what our customers have to say about our storm panels and hurricane shutters here. 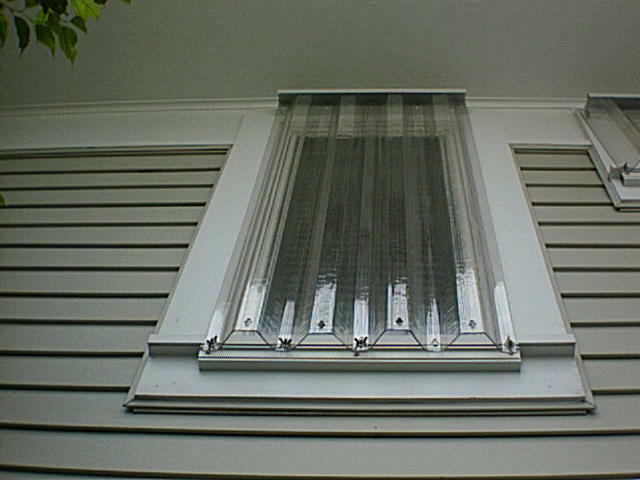 Aluminum storm panels and clear storm panels can be installed over your windows with or without the use of storm panel track. Mounting hardware will be included with your storm panels. Installing hurricane panels is an easy DIY project, and our panels are stackable and easily stored when not in use. On our website – HurricaneShuttersFlorida.com – you’ll be able to view and price the hurricane panel or storm shutter of your choice, see how to install storm panels, and more. You can easily order storm panels in Brunswick from Empire Construction & Development online. Contact us for more information on purchasing storm panels for your building and to find out about this month’s hurricane panel deals. Don’t leave your windows without reliable storm protection – get affordable, sturdy storm panels in Brunswick from Empire Construction & Development. Clear hurricane panels bring at least one very apparent advantage of other hurricane shutter types. These panels are clear; they don’t block your view and allow sunlight to come in. They don’t give you the feeling of being trapped inside a place to sit out a hurricane. The shutter glass won’t yellow with age and you get 100% UV protection as well. These shutters, usually made of high grade polycarbonate sheets, cover the external façade of a structure. They don’t splinter or warp like wood and they sure don’t look like eyesores that many metal hurricane shutters appear to be. These shutters are easy to install. They won’t envelope your property in darkness and you don’t need difficult to manage accessories when you are putting up these shutters. In other words, these shutters are easy to install. If you are using twin wall polycarbonate sheet plastic then you are assured of hurricane protection because this material is two hundred times stronger than glass and very durable. It is very light; in fact it is five times lighter than plywood. But the lightness in no way compromises on the strength of the material. These shutters are more expensive than metal shutters but they add to the value of your house, apart from the undeniable protection they offer. Look up between the different types of clear hurricane panel shutters. Lexan and protexan are two types you can choose from. It is easy to get price quotes online. Compare quotes and check for adherence to your state hurricane building codes. Check if the sheets are made from recycled plastic, these will work out cheaper. Your county and your insurance company might extend you benefits in one form or the other for using recycled plastic. Do you want the panels corrugated? Corrugated sheets will be stronger but may affect visibility. Does the manufacturer take requests for custom sizes and styles? What is the best way to install the shutters? Stapling, nailing, folding, drilling, stitching, etc are some of the techniques used. What are the different thicknesses in which these shutters are available? Does the installer have a thickness ideal for your use? Ultimately you should, for the money you spend, get complete protection from hurricane winds and airborne debris.